Just as the highly anticipated movie Hidden Figures—the story of three African-American women who were crucial in the launch of the first American into orbit—hits theaters, more news of black female achievement in STEM (science, technology, engineering and math) fields has hit the presses. NASA announced Wednesday that for the first time ever, an African American will call the International Space Station home. 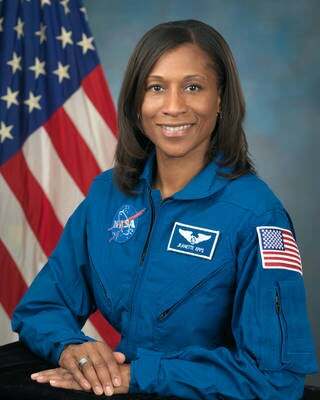 According to a press release, NASA first-flight astronaut Jeanette Epps will be the first African-American space station crew member when she embarks on her first space flight in May 2018 as a flight engineer on Expedition 56. Epps will also remain on board the station for Expedition 57. She will be joining veteran astronaut Andrew Feustel, who will first launch in March 2018 as a flight engineer on Expedition 55, before returning for Expedition 56 as commander. As the Idaho Statesman notes, NASA has had just 14 black astronauts, three of them women, travel to space in its history. Although many of those astronauts flew missions to the International Space Station, none of them stayed aboard. Epps earned a bachelor's degree in physics in 1992 at LeMoyne College in Syracuse, N.Y. She went on to complete a master's of science in 1994, as well as a doctorate in 2000 in aerospace engineering from the University of Maryland. While working on her doctorate, Epps was a NASA Graduate Student Researchers Project fellow, authoring several journal and conference articles about her research, according to the press release. After completing her graduate studies, Epps worked in a research lab for over two years, co-authoring multiple patents, before being recruited by the Central Intelligence Agency. She was a CIA technical intelligence officer for about seven years before being selected as a member of the 2009 astronaut class. And speaking of hidden figures, Epps has actually appeared in a NASA video connected to the film, offering advice to young women who are involved in STEM. Read more at NASA and the Idaho Statesman.